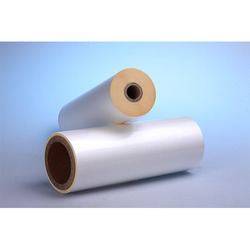 We are a leading Manufacturer of printed easy peel film rolls, anti fog film, opaque film, plastic wrapping film, anti static film and coextruded films from Dadra, India. 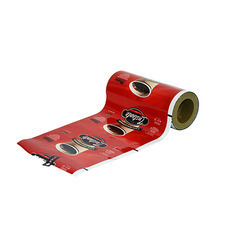 We deal in Printed Easy Peel Film Rolls.We obligated to meet the quality standards as per the customer demand. Banking on our vast experience in this domain, we are engaged in manufacturing quality assured Anti Fog Film. Our anti fog film is perfect for use in a wide range of optical applications. The anti fog property is inherent in the film and is not a coating; it is supplied in optical quality grade and is available in a range of thicknesses. It can help the vegetable to live long fresh. 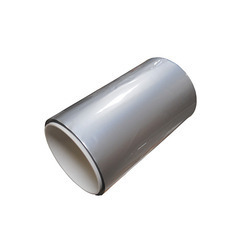 Our organization is one of the well known organizations offering a qualitative range of Opaque Film. that are used as packaging material. The offered films are manufactured using superior quality basic material and ultra-modern technology under the guidance of skilled professionals. Apart from this, customers can avail these films from us at pocket friendly prices. 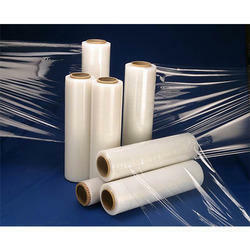 We are one of the recognizes firms engaged in manufacturing a wide array of Plastic Wrapping Film. These products are fabricated by us using blown film technology which improves the packing cost. Further, these are produced under the supervision of our professionals who use industrial LDPE in manufacturing process. We are known for offering Multilayer Coextruded Films that are suitable for numerous applications. We manufacture these films using with excellent properties using our five layer & seven layer equipment. Our co-extrusion capabilities allow us to customize package for balanced property of Adhesion Vs Bonding & COF & seal strength and maintaining barrier property without loosing the basic properties at the same time. To meet the varied requirements of clients, we are offering a high quality array Pallet Cover. Suitable for light, medium and heavy pallets packaging. Being a renowned manufacturers and suppliers, we are engaged in offering a wide range of Plastic Wraps. These are extensively admired for optimum quality and high usability. Eco-friendly range of our Plastic Wraps is manufactured using optimum quality plastics, thereby ensuring safe and damage. We provide these Plastic Wraps in various thickness and specifications as per the requirements of clients. Takes less space in container hence more quantity. Less weight hence less freight charges. With our expertise in this domain, we are able to offer a superior quality range of Thin Films. These films are manufactured using optimum quality raw material in adherence with the international quality standards. Our products provide thin, flexible and excellent strength. Capable of withstanding high temperature, the films we offer are suitable to pack hot filled cartridges. Further, our offered films have closed structure (non porous and high barrier) that make these products ideal for having secure packaging. Owing to our expertise in the concerned domain, we are engaged in trading and supplying a wide range of HDPE Laminated Roll. This is 12 microns imported metalized polyester film in prime condition. This is used mainly in lamination of paper for making paper plates. This is a far superior product than BOPP metalized polyester films because it gives more strength to the final product, better shine and you can make the paper plate with full heat and it won't stick to the die of your machine. 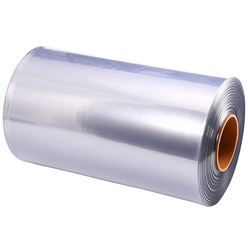 Our company is involved in the manufacture, trade and supply of Plastic Foil. 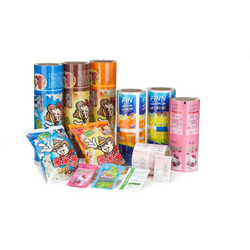 These Shrink Films are used in Edible stuff packaging and non edible packaging. These films are specially fabricated by high quality plastic and are environment friendly in nature. 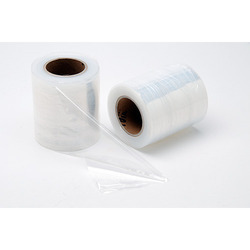 These Packaging Films are manufactured by skilled, experienced and qualified professionals and are easily available in different sizes and ranges and sourced directly from them. 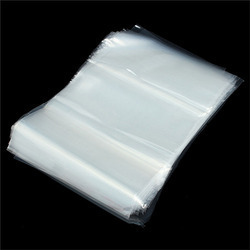 These plastic films are available at affordable prices. Backed by a team of adroit professionals, we are manufacturing and supplying an extensive array of Polyester Laminates. 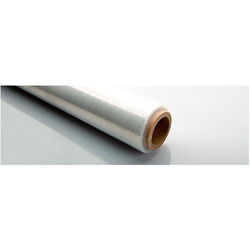 We are an eminent manufacturer, supplier and exporter of the premium quality Flexible Films. Our quality-centric products find application in various industrial sectors for packing purpose. Further, we constantly keep track of the latest industry development in order to maintain the quality and design of the product. 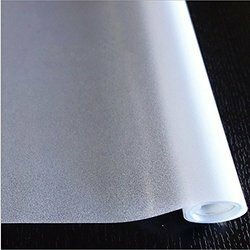 Our precious clients can avail Flexible Films from us in various specifications at an affordable price. 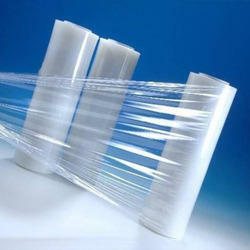 We are instrumental in manufacturing and supplying a supreme quality range of Flexible Packaging Film. Extensively used for packaging various kinds of goods and food items. 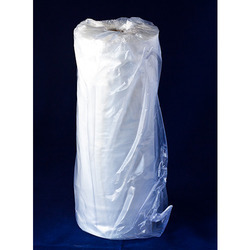 Highly demanded HM Roll is provided by us which are extensively used for packaging to safeguard the products from dust. We are the leading supplier of LD Rolls. Our premium quality Printed Plastic Flexible Laminates is preferred by numerous industries like food & beverage, agro product, cosmetics & toiletries etc. These high quality laminates are available in single and multi color prints that gives an attractive look to the product. 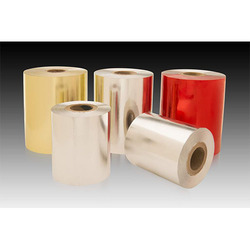 Being counted as the leading organization of the industry, we are involved in offering Laminated Film. The products that we offer are manufactured from the use of fine material. These products can be availed in various vibrant colors. Our products have been acknowledged for their superior quality. The offered products are extremely tear resistant in nature. 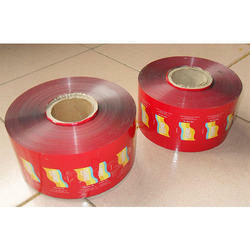 In addition, these Laminated Films are easily available at affordable rate. 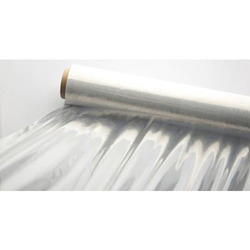 We have carved a niche amongst the most trusted name in this domain, involved in offering a wide range of Lamination Roll Film. 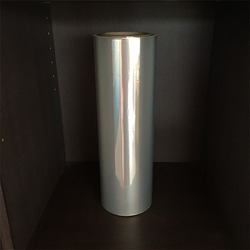 This Lamination Roll Film is extensively used in different commercial places for various applications. Our product is widely appreciated amongst the customer for its high tensile strength and easy applicability. 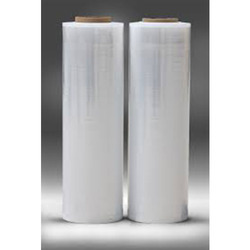 By keeping track with the market development, we are offering optimum quality Multi Layer Films that are used for packing in various industries. The offered packaging films are designed using the finest quality raw material and innovative technology under the guidance of our adroit professionals in adherence with industry standards. 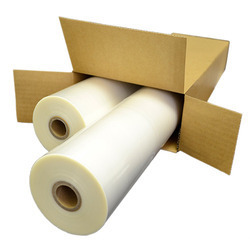 Moreover, the provided packing films are strictly test on varied quality measures so as to ensure its quality. 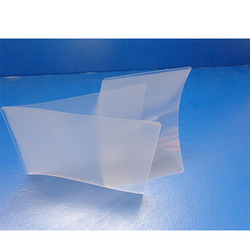 Our company is involved in the manufacture, trade and supply of Plastic Films. 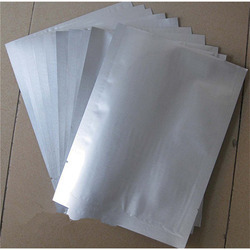 These Shrink Films are used in Edible stuff packaging and non edible packaging. These films are specially fabricated by high quality plastic and are environment friendly in nature. 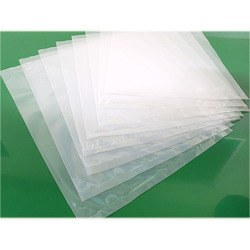 These Packaging Films are manufactured by skilled, experienced and qualified professionals and are easily available in different sizes and ranges and sourced directly from them. 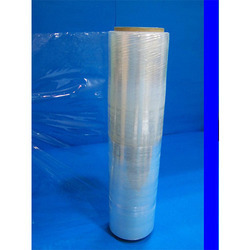 These plastic films are available at affordable prices. Our organization is actively engaged in manufacturing and supplying of Polyolefin Film that is used for packing cartons, boxes, beverage cans and pallet loads. The provided wrap film is designed using the finest quality raw material and sophisticated technology in line with set industry standards. Moreover, our quality controllers rigorously test this wrap film on variegated quality norms. Clients can avail this wrap film on market leading prices. By keeping track with the market development, we are offering optimum quality Transparent Plastic Film that is used for packing beverages, bottled water and dairy shrink bundlers. The provided film is manufactured using optimum quality raw material and innovative technology by our adept professionals. Apart from this, offered film is sternly tested on diversified quality norms by our quality examiners so as to ensure its flawlessness.